I’m studying for my Systems Neuroscience exam, so I’ll post my notes. 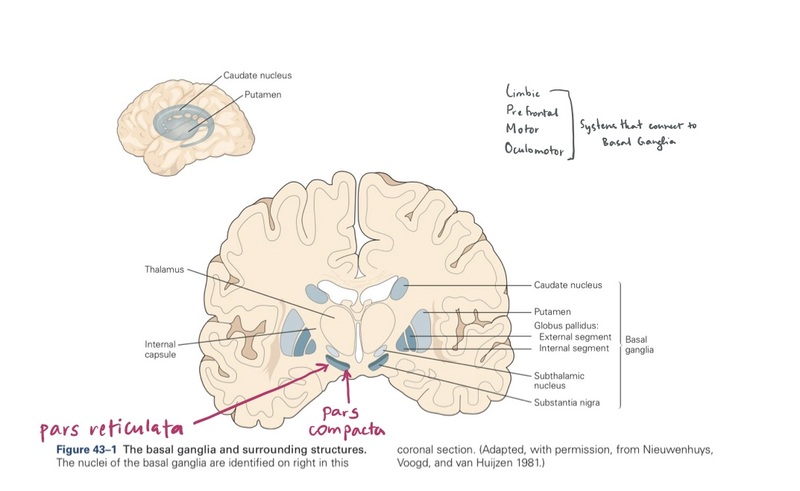 Here’s some notes on the Basal Ganglia, a pretty important set of nuclei in the brain. Diseases of the Basal Ganglia include Huntington’s and Parkinson’s Disease.